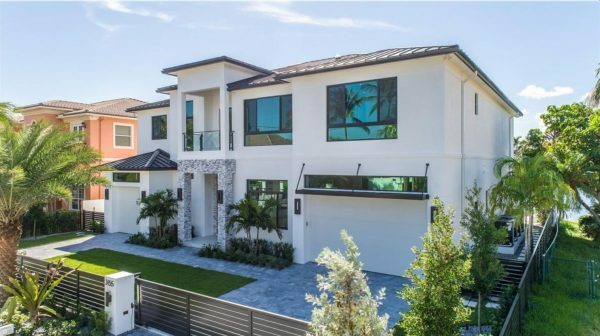 A beautiful and newly constructed house is available in lighthouse point. 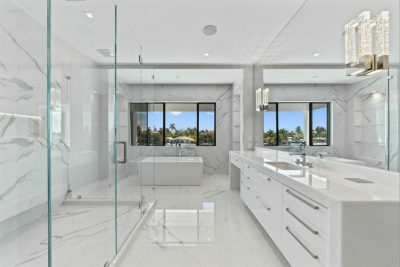 This stunning design was completed June 2018 by the ZAHN builders and is now on the market. 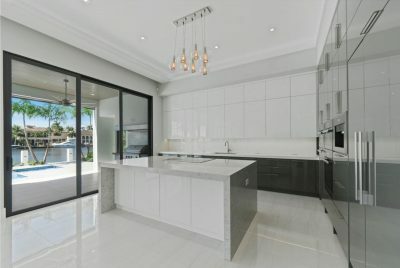 The inside of the house features 6 bedrooms, 6/1 bathrooms, Italian Porcelain tile throughout, a modern kitchen and island, a huge master ensuite, a 3 car garage, and multiple bonus rooms. Outside the house features an air-conditioned patio, a second balcony upstairs, a beautiful pool, and 80 ft. of water frontage. The house is in a prime location since it is only a 3-minute boat ride to the Hillsboro Inlet. This house is perfect for anyone especially if they have an avid boater/fisher among the family.